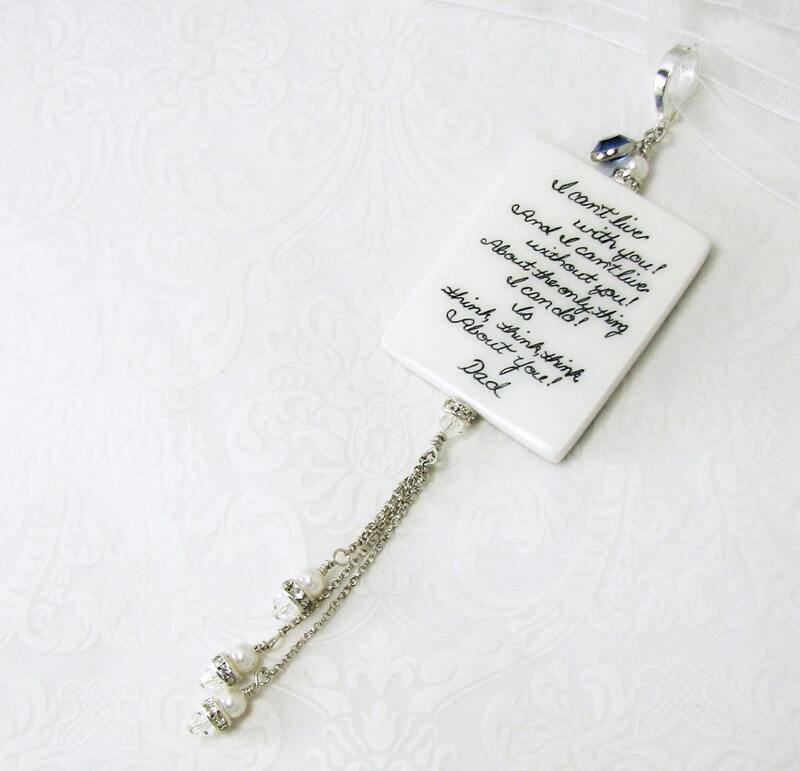 This is the sterling edition of my "Something Blue" bridal bouquet charm, and it is loaded with sparkle. 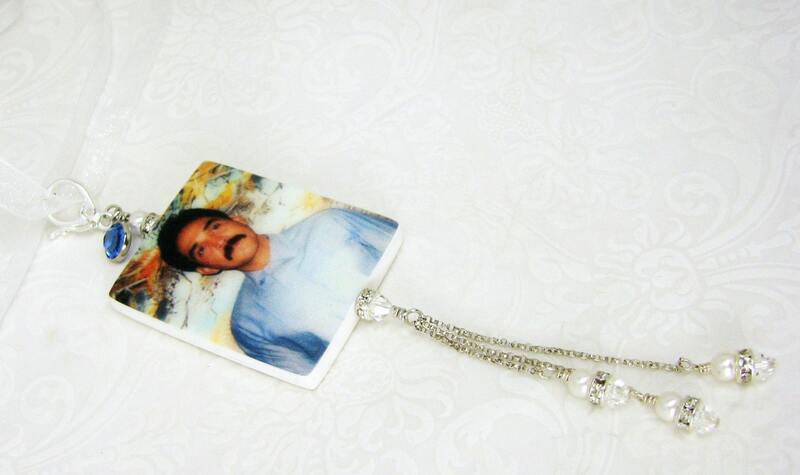 It is a two-sided, heirloom quality, memorial photo charm that is up to 1" X 1" in size. 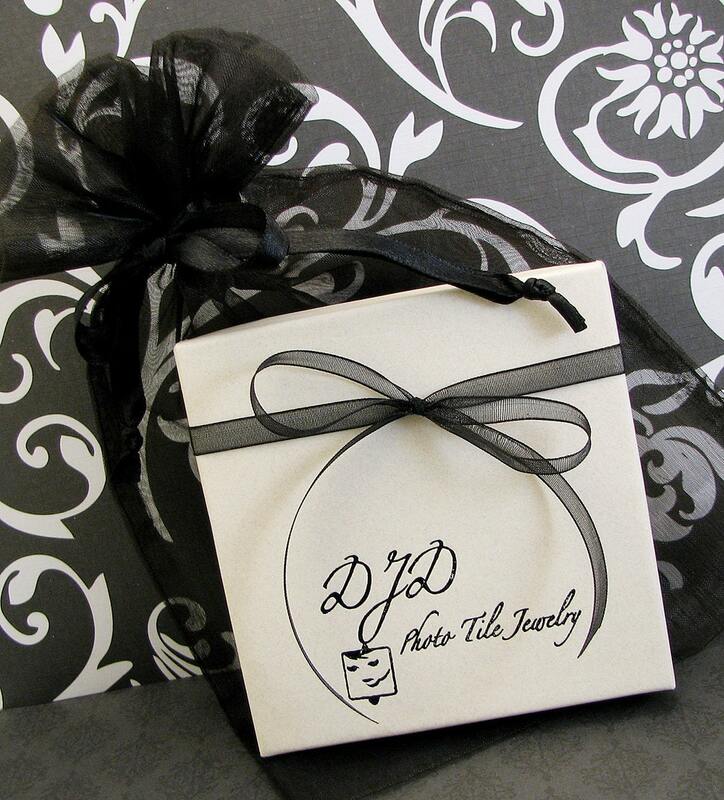 Do you have a love note, a message, or a sentimental card you keep tucked away in a special place? 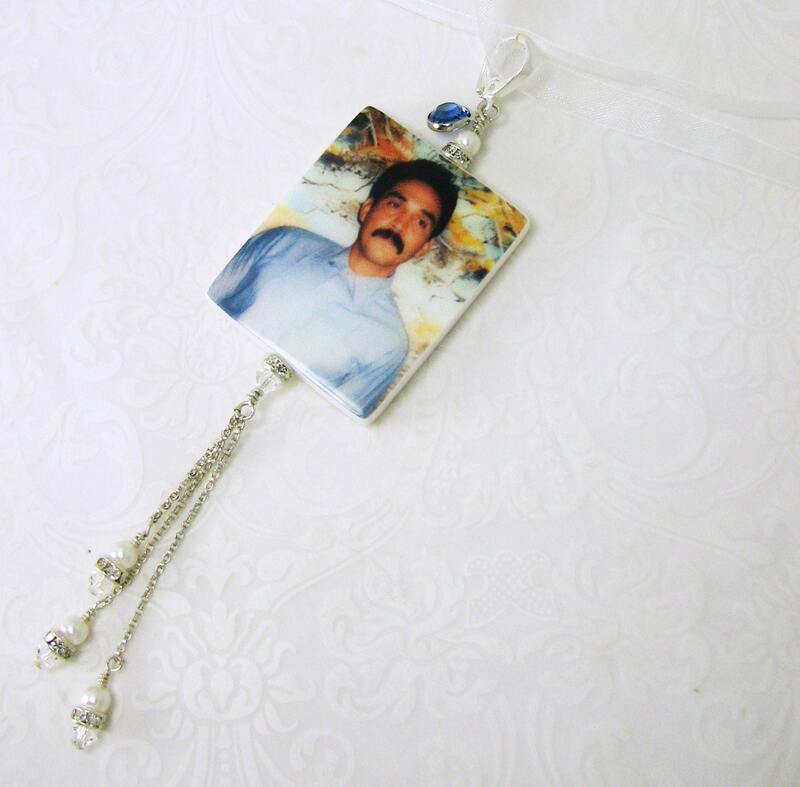 Why not preserve it in this gorgeous memorial photo charm. If you can photograph it, I can bake it into a charm for you. 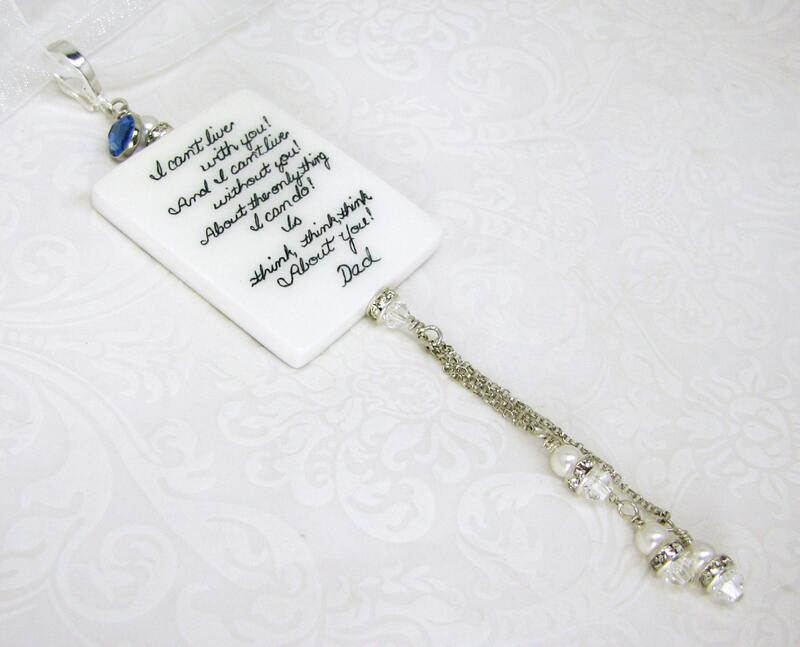 Each charm ordered hangs from a sterling bail and dangles 3 pearl and crystal pendulums. It hangs from a long strand of white or cream ribbon to wrap around or hang from your bridal bouquet. Choose a color of Swarovski crystal pearls to match your images, or your wedding colors in place of the white ones shown if you like. This beautiful charm is also available in gold-filled.